Between 2009 and 2014, the money spent by B2B companies on interactive marketing will double, per a recent report by Michael Greene at Forrester Research. With this increased spend, how can marketers transform lists of tactics into holistic strategies that achieve results? And perhaps just as importantly, how will these same marketers demonstrate results, especially during conversations with the C-suite? Solutions to multi-layered opportunities that exist within the interactive marketing space will be revealed this month during one of the largest search marketing conferences of the year. 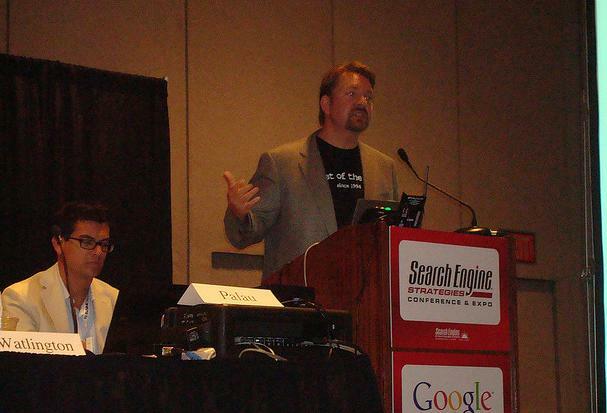 Search Engine Strategies (SES) San Francisco, hosted by Incisive Media, marks a turning point in 2010. 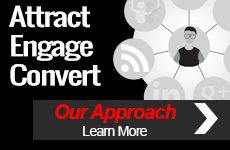 For the first time, its annual August event hosts in San Francisco and integrates with Connected Marketing Week, boosting an already large happening to an all inclusive search marketing experience. Images, videos, PDFs, and consumer shared content. If it can be searched, it can be optimized. As online marketing grows increasingly competitive, marketers are expanding content marketing strategies to gain even the slightest edge on the competition. So what type of content represents the biggest opportunity for content marketing efforts, and how can companies tighten strategies to ensure maximum ROI? Odden will help answer these questions and more during this solo presentation. Nearly every day 346 million gather online to read and engage in conversation through blogs. Companies not yet hosting a blog miss out on a key opportunity to enhance Search Engine Optimization (SEO) efforts, while communicating more effectively with existing customers and qualified prospects. 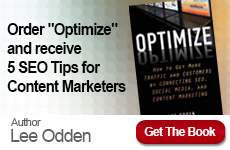 Boost SEO efforts with an optimized blog and enhance online communication with web feeds by joining Odden for this panel session moderated by Craig McDonald, Senior Vice President and Chief Marketing Officer, Covario. Sally Falkow, President, PRESSfeed, also joins this panel. Whether a tactic is burgeoning or traditional, C-level executives demand one thing: results. So how best to explain the results of search marketing, a discipline whose ever-changing methodology can make it rife with false positives and misunderstandings? Learn to answer the tough questions about search marketing, whether it’s discussing results or making the case for a bigger budget, with help from this panel moderated by Odden. Panel speakers include Paul Wilson, Chief Revenue Officer, iProspect; Rich Lesperance, Director of Online Marketing, Walgreens; Laura Lippay, Partner, Nine by Blue; and Vivek Chaudhuri, Director, Search Marketing, Digitas Health. See coverage of this event beginning August 17th by visiting Online Marketing Blog. Stay up-to-date with the latest social media events by subscribing to our newsroom RSS feed, following @TopRank on Twitter or becoming a fan of Online Marketing Blog on Facebook.